Hiring the right New York City office movers can make all the difference when it comes to relocating your business. Moving your office requires attention to detail, comprehensive planning, and impeccable reliability, and these are the attributes you should expect in the best office movers NYC has to offer. But how do you go about finding the right commercial moving company for the job? Let’s take a look at some of the important things you should seek as you choose a professional office relocation company. 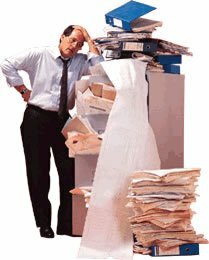 Packing your office can be a painstaking process, especially if you have a great deal of sensitive or fragile equipment and electronics. Professional packers can ensure that each piece of equipment is thoroughly and properly protected for the move. 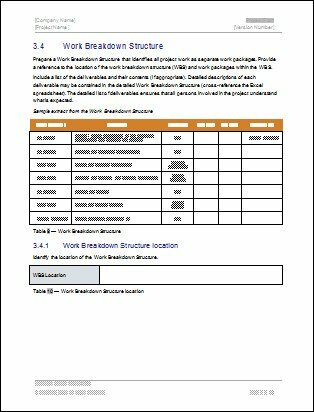 A professional office relocation company will have special packing for fragile equipment such as computers, servers, printers, and laboratory items and can even label the boxes according to the floor plan of your new office location. If you prefer to have your own employees do the packing, you can order packing materials to be delivered to your office ahead of time. Professional packing materials, such as heavy duty boxes, make a big difference in the safety of your office supplies and equipment. Our sturdy, well-engineered boxes come in a variety of sizes so you can choose the most appropriate boxes for your office belongings. We can also provide pre-printed labels to help you with your office move. 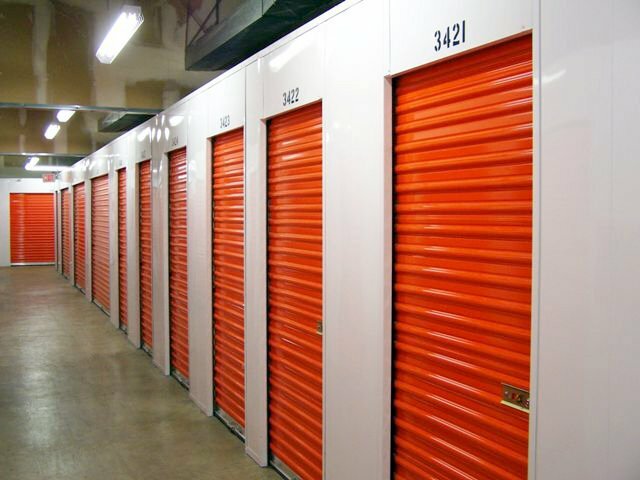 When working with office movers NYC employers know that storage can be a necessity at times. What if your new office isn’t quite ready when you thought it would be? 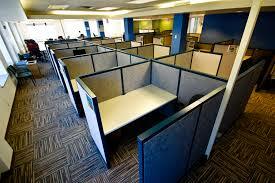 What if your new office requires repairs or painting before the furniture can be moved in? These problems are easily handled by a professional moving company that has its own storage facilities. When you work with office movers that have their own NYC storage facilities, your options are open and your bases are covered. Nervous about getting everything safely from your old office to your new one? You don’t need to be nervous when you work with office movers NYC companies trust. Professional moving companies like ours have adequate insurance to guarantee the safety of your office furniture, equipment, and possessions. Moving is all about details, and a professional moving company should be able to handle the small stuff. For example, they should take care of parking permits where necessary and handle important scheduling matters. The valuation of your inventory may be important for insurance purposes, and they should be able to determine how many movers and trucks are necessary for your office move. Make sure that the office movers you choose have a great track record when it comes to the details. Most of all, when you are moving offices, make sure you choose a company with a reputation for high quality customer service. Moving can be stressful, and you’ll want to know that you can call on your movers to answer questions and address concerns. Look for office movers that are listed with the Better Business Bureau. Before you trust your office to them, they should be able to show you impressive testimonials and be affiliated with respected organizations such as AMSA, LIMSA, Red Ball International, and the New York State Movers and Warehousemen’s Association. Also, consider how you’re treated when you call for information. Does the moving company have a longstanding tradition of treating customers like family? They should. Ask for referrals, and follow up with due diligence calls. When you’ve done your homework by finding out about these details, you can be sure your office move is in good hands. 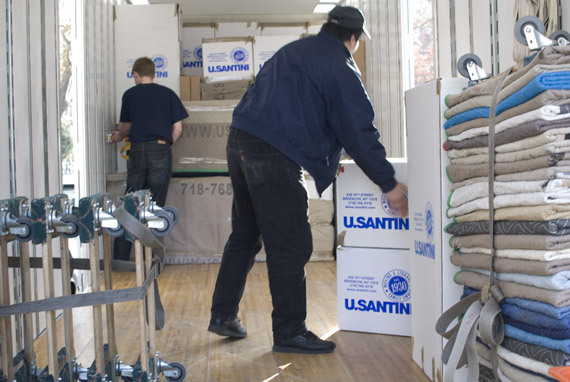 For more information about the best office movers NYC has to offer, contact us at U.Santini. 718-768-6778. Ask for Dan. Business relocation is different than regular household moving. Businesses move to locations for a variety of reasons. Some businesses outgrow their offices or warehouses and simply need more space. Other businesses mature and need a different location that fits their new, changed nature. Tough economic times can prompt a move to a space that is more cost effective. Whatever the reason your professional office move in NYC, it’s important to plan well and decide when is the best time to move to your new location. The best time for your office move is when it won’t interrupt your business operations. For most businesses, this is in the evenings or over a weekend. Do all you can to avoid infringing on your operation hours; this strategy will keep your office move cost-efficient and simple. Office moves can be complicated. Let’s take a look at some of the things you can do to ease the transition and help get your employees back to work quickly and efficiently. Do I really have time to organize a move? It helps to know up front exactly how much you’re willing to spend on your move. With this figure available, you will be able to make decisions about what work you can hire out and what work you’ll need to handle yourself or delegate to employees. Once you have your overall budget for your move, you can begin to break down this number into the areas where you’ll need the most help. For instance, if your company has a lot of sensitive electronics that need to be moved, you may need to spend more on packing materials than a company that large warehouse that stores goods that are already heavily packaged. 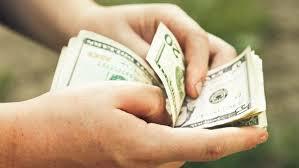 The nature of your business will help you to decide how to divide your budget. Your office move will run more smoothly if you have a well-constructed plan that tells each of your employees what is going to happen and what their roles will be. A comprehensive spreadsheet can explain the steps of your move as well as each person’s role in each of the steps. For example, your spreadsheet could instruct each person to pack up their personal belongings in their desks on Friday afternoon and take their boxes down to the first floor foyer. Specific instructions like these reduce questions and help you make sure that tasks are completed in a timely manner. Your plan should include information about how to handle the company’s address change. 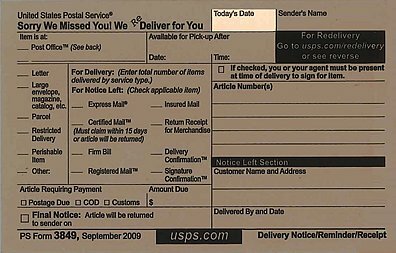 Instruct the post office to start forwarding your mail on the day of the move, and make sure you have an employee stationed at the new office to answer phones and collect mail during the move, especially if your move extends into business hours. As you plan for the timing of your office move, make sure you give yourself enough time to take care of basic infrastructure before you need your business to be up-and-running in its new location. For example, will you have enough time to get phone and Internet service running with your current plan? If you regularly receive deliveries, will your vendors and delivery trucks be able to supply you with what you need at your new location? Have you ensured that your insurance on your new location will be ready by the date you intend to make the switch? These details often get overlooked in the excitement of a move, but they should be integral in your move planning. Are you moving your office? If you’ve set your budget, created an accessible plan, handled your address change carefully, and made sure your infrastructure is ready at your new location, you may be ready! For additional help with your office move, or to learn about other moving and storage concerns in Brooklyn, contact us at U.Santini. We’ve been serving New York City since 1930, and we’re looking forward to serving you. We can assist you with a variety of services according to your unique needs. We can send our professional packing crew and have them packing your office in no time. Find out what a trusted and reputable moving company can do to make your office relocation an efficient and cost effective endeavor. Call us at 718-768-6778. Ask for Dan. For more information about office moving – Download our FREE white paper Now! When your elderly parents need to move, either to a new home or to a nursing home, you might feel a bit overwhelmed. As mobility diminishes, it’s tough to keep up with housework, and your parents’ home may have become disorganized in recent months. Also, many seniors, like all of us, tend to keep things that they don’t necessarily use, and it can be difficult to make decisions about what to give away and what to keep. The help of a professional moving company can help in many ways as you undertake this big job. What can you do to ease the process of moving your parents to a new house? Before you ever start packing boxes or arranging for storage, start by helping seniors to sort through their belongings and let go of items they don’t use anymore. This can be very difficult, especially if they grew up in times of scarcity, but in the long run, they’ll be much happier with fewer things to care for and less to move. It’s often easier to give items away if you know they’re going to a good home, so make suggestions of whom to give certain items to: “Dan’s daughter Kaley loves dolls; maybe she would like to take care of this one.” Donating to charities can also be a satisfying way to reduce your number of possessions. Seniors will be more comfortable in their new home if furniture and objects are arranged similarly to the way they were positioned in their old home. For example, keeping the same family photos on top of the dresser or laying a favorite quilt over the sofa can be the touches that help them to begin adjusting to their new circumstances. Taking pictures will help you to create a familiar atmosphere later on when you unpack. If you wait until the last minute, your parents may feel that everything happens too quickly. If you begin early, however, they can take care of small tasks without overtaxing their energy or feeling there’s no time “to say good-bye.” You can begin by asking them to tackle just one desk drawer or attic box per day. If they can manage the sentimental items, you can delegate more utilitarian packing to professional packers or volunteers. If you can provide your parents with high-quality packing materials, they can begin working on packing during their spare time and as they have energy, even when you’re not there to help. Packing materials like bubble wrap and packing papers will also help with protecting fragile heirlooms and dishes. If your parents will be moving to a smaller place, you’ll need to know how much they can take with them. It can be very helpful to obtain a room layout of their new home so you can help your parents know what furniture they can take. This is especially helpful if the change is drastic, like moving from a three-bedroom house to a one-bedroom condo. Working with a trusted moving company can be a big help when it comes to moving your parents. A professional moving company that offers a variety of resources and services can provide you with lots of different options. For example, if your parents’ new home isn’t quite ready when they have to move out of their current home, the professional moving company can store their belongings in their storage facility until you need them again. Also, you can spend your time caring for your parents instead of packing and loading boxes. Seniors adapt much better after a move if they were able to maintain control of the process. Even though it may be tempting to jump in and make all the arrangements yourself, remember that you like to be in control of your own life, and it’s no different for your parents. Listen carefully to their concerns and wishes, and do your best to address the concerns and honor their requests. Unpacking quickly can help your parents to acclimate because they’ll see all of their belongings and be able to get on with their lives. If you can help them to meet their new neighbors and learn how to visit the shops and restaurants in their new neighborhood, they’ll get their bearings more quickly in their new home. If your parents are moving in the Brooklyn or NYC area, contact us at U.Santini. Our professional moving company has been serving NYC since 1930, and we treat our customers like family. As a family business, we know family, and we’d be delighted to help you with yours. Call us at 718-768-6778. Preparing for a move can be stressful, but you can reduce your stress by learning some simple tips for packing fragile and expensive items. When you know how to pack well, chances are much smaller that you’ll damage something during your move. Whether you’re moving within the Brooklyn area or across an ocean, packing fragile items carefully will make your move easier and less stressful. We’ve put together 6 tips for packing fragile and expensive items to help you with your move. One of the most common mistakes we see is people waiting until the last minute to start packing. When this happens, you don’t have time to gather up the right materials and make sure each item is carefully packed; you end up simply throwing things into boxes and hoping they come out intact on the other end. Give yourself plenty of time, and begin your packing with your most fragile and expensive items. When you start with fragile and expensive items, you can make sure that you’re using the most appropriate boxes and packing materials for the items that require the most care. If you have to throw towels into an old laundry basket at the end, nothing will be hurt. But if you have to throw your grandmother’s china into a laundry basket, that’s another story. When fragile items break during a move, it’s usually because the items weren’t properly cushioned. Bubble wraps and high quality packing papers can be extremely helpful with fragile items. When you pack glasses and stemware, stuff crumpled packing paper inside the glasses to provide pressure from within. For plates, position a layer of bubble wrap between each plate in the stack. With expensive or cherished items, carefully pack them in smaller boxes, and then place the smaller boxes inside larger moving boxes. This extra layer of protection can keep your cherished items from jostling around too much during the move and will reduce pressure if other boxes are stacked on top. If you still have the original boxes for your expensive items, especially for electronics and small appliances, by all means, use the original boxes. In most cases, these boxes were designed for shipping the items safely, and the packaging is a perfect fit. If you have thrown away the original boxes, find boxes that are suitably sized, and wrap each component individually to avoid scratching and jostling. Even when you’re adequately cushioning your items with bubble wrap or quality packing papers, it’s still important to place your items in the boxes strategically. Put your heaviest items in the bottom of the box and lighter items toward the top. This reduces the possibility that the items on the bottom will be crushed during the move. When your boxes are labelled well, movers know how to handle them and where to put them. For example, a box labelled “Fragile, This End Up” will be handled differently than a box labeled “Bedroom Pillows.” Be specific in your labelling, realizing that you won’t be able to remember what you’ve packed inside each box just by looking at them. 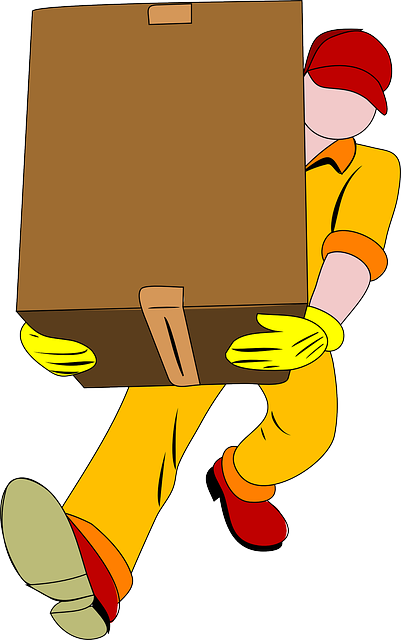 If you don’t have the time to pack your belongings yourself, you can hire packers to do the work. Professional U.Santini packers have the experience and tools to quickly and efficiently pack your belongings and prepare you for your move to your new home. To learn more about how to pack for your upcoming move, or to learn about the best moving and storage Brooklyn has to offer, contact us at U.Santini. 718-768-6778. U. Santini Moving & Storage is the original and only family-owned moving and storage company based in Brooklyn, New York. Established in 1930, we’ve become a nationally recognized and trusted brand. Our experienced staff, fleet of trucks and extensive storage facilities have serviced customers throughout the country, especially our Brooklyn and Tri-State neighbors!